The hard-partying skater unveils his newest Emerica Pro Model, the Sza. Las Vegas born Braydon Szafranski is known for his outrageous personality and hard-partying mindset, but he's also quite the accomplished skater. On the board since 1994, Braydon turned pro in 2006 and has been on a roll ever since. 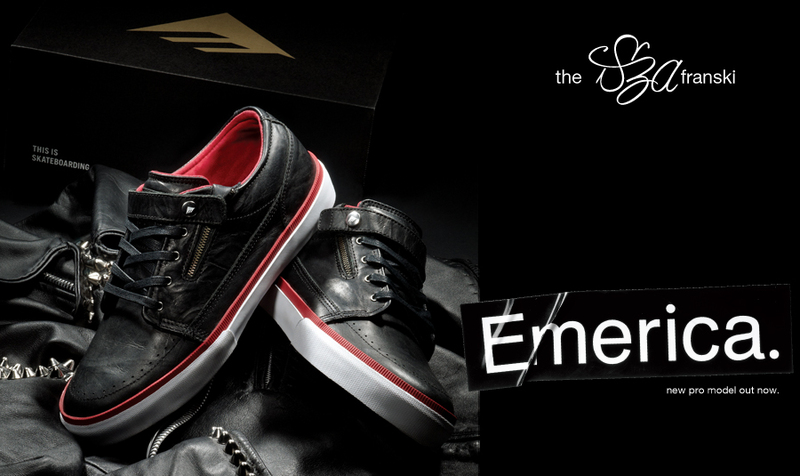 Now a member of Team Emerica, Szafranski dropped his first pro model back in 2009. To follow up that shoe, Emerica has officially introduced Braydon's newest pro model, the Sza. 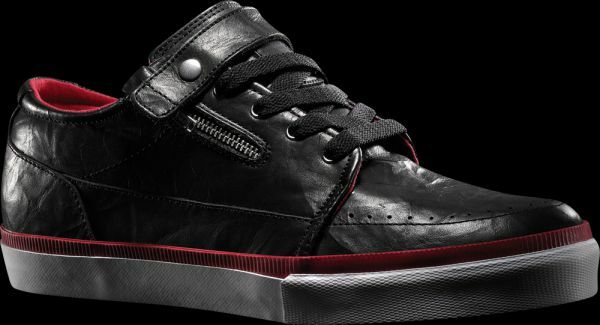 Inspired by the leather jackets in Braydon's gear arsenal, one of the shoes is constructed with skateable premium leather. 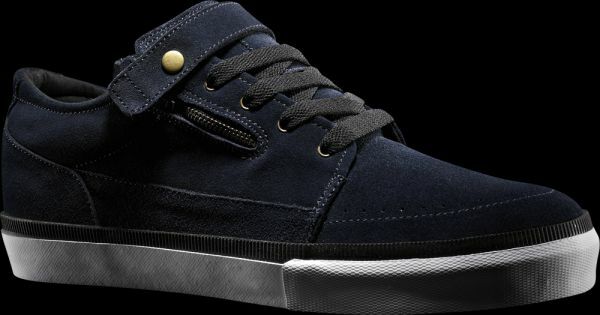 The Sza also comes in other looks, such as White Suede, Black Suede and Navy Suede. You can pick up the Sza at skate shops worldwide today.